Coe’s early paintings were humorous and comic-book styled. Over the years, her paintings evolved from lighthearted whimsy (such as radioactive, mutant Gila monsters destroying the world in retaliatory rage) to more mature works with a confidence of message and style. 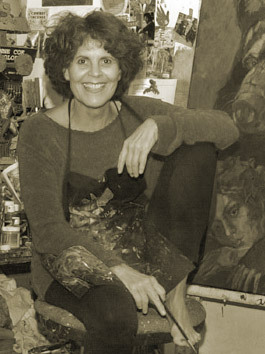 Throughout her artistic development, her commitment to change through art has remained constant. Painterly technique, strong narrative content, and the refreshing element of humor are all aspects of Coe's work that make it so compelling and accessible.